With a booming economy that keeps on growing tremendously, Malaysia has quickly risen up the ranks to become one of the most lucrative investment destinations of all time. The region itself through a number of supportive legislations, allows for easy investment by foreigners as well as locals. The hospitality industry has by far seen the greatest growth in investment over the years. Of particular interest, is the restaurant business which has shown great promise over the years. Malaysia being a world ranking tourist destination, receives a great deal of tourists throughout the year. The restaurant business would therefore have clients at all times. Aside from that, there is the fact that Malaysians love to sample tasty cuisines and whether or not you have tourist customers, you have a definite guarantee of tapping into the local market. The Malaysian business industry allows a lot of leniency and flexibility in investments. That means that you can very easily setup your restaurant without strain, complications or the complexities that you would encounter elsewhere. That holds true whether you are a tourist or a local investor. One of the easiest methods is to setup a Malaysian Sdn Bhd company. Resources are one of the major determinants of whether a company will progress successfully or not. Ease of access to resources means that you do not have to spend a lot of your company resources on the same. In most other places, restaurants are tricky business investments because you have to import most of the resources, including skilled and professional labor. In Malaysia however, everything, including labor is both easy and inexpensive which is a great combination for success. The location of the restaurant is of prime importance when setting it up. The location needs to put you in close proximity to both resources and your market. The location therefore has to be well supplied with a suitable, reliable and comfortable transport system. The location also has to reflect your brand’s image. That is to say that the location of your restaurant needs to show the clients the image that you want your business to be portrayed as. The restaurant also has to be set in a place with a steady and stable supply of energy as well as other necessary resources, including labor. The menu needs to be unique but also inviting. Most foreign investors choose to introduce menus with cuisines from their native locales. While this is a great idea, you need to first consider the menu and its relation to the local culture. World cultures are different and while one culture accept a certain cuisine, another may be very opposed to it. The menu has to be considerate, of exquisite taste and quality and above all, impressionable to both locals and tourists. Remember that much as introducing exotic cuisines is a great idea, you also need to provide a number of local cuisines for an all round acceptability of the restaurant. The layout of the restaurant is important in attracting customers and maintaining a brand image. The design has to incorporate both style and functionality. A quality design is one that allows for hospitality and accommodation. It should be both welcoming and satisfying. The design has to allow for the comfortable accommodation of clients and expansion of the restaurant if need be, without inconveniencing the clients or disrupting the business. The hospitality industry is one of the most professional and highly sought after industries. To maintain a quality image, it is extremely important that you have skilled labor for you. The target when selecting labor is both education and experience. If however you cannot get both, it would be best to hire based on a criteria that qualifies the skill of the individual. Another important aspect of consideration when starting a Malaysia restaurant business is the funding of the business. The startup needs a lot of finance until the restaurant can sustain itself. It is therefore of prime importance to have a steady and assured financing scheme. The very first consideration when investing in the restaurant business is the licensing of the business. A Malaysia business license is issued on various terms depending on whether the investor is local or foreign. To acquire the business license, it is important that you adhere to all set procedures and follow through with all the requirements. There are different business licenses depending on the business and the nationality of the individual and each has its own term so you should know the duration of the license for renewal. One of the easiest ways to set up a restaurant business in Malaysia is to set up a Sdn Bhd company. This private limited company follows certain business stipulations in the region. The company has shares through which other investors, both local and foreign can chip in. The Sdn Bhd would of course have to be set up anew and a new business registration procedure would have to be followed. 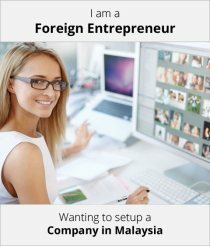 Whether you are a local or a foreigner, setting up a restaurant business startup in Malaysia is one of the easiest processes. 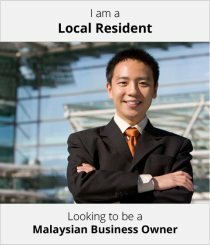 After following through with the registration of the business and acquiring a Malaysia business license, you can then settle on the start of the business. You should work with locals to get the most valuable information as pertains to the demographics, locations, resource acquisition and so much more. After the start up, you can rest assured that you will enjoy great rewards on investment since Malaysia is largely one of the biggest consumers of hospitality products and services.